First things first. Watch Bajrangi Bhaijaan, irrespective of whether you are a Salman Khan fan or not. Director Kabir Khan has given the actor a complete makeover as the endearingly naive Hanuman devotee who never lies, and you may end up loving him. In case you don’t, fret not. The angelic child actor Harshaali, with her endearing smile and expressive eyes, will surely steal your heart. The good thing about the movie is that it is not preachy (except in the climax), which it very well could have been. A six-year-old speech-impaired girl from across the border, Shahida aka Munni (Harshaali Malhotra) gets separated from her mother at a railway station in India. 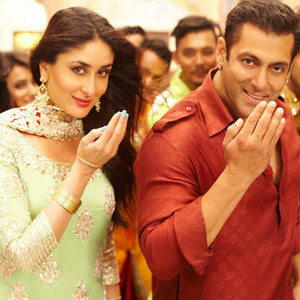 Lost and hungry, she chances upon Pawan Chaturvedi aka Bajrangi (Salman Khan), an ardent devotee of Hanuman, who takes it upon himself to reunite the child with her family in Pakistan, come what may. Not everything is right about the movie though. For one, it is too long and the many songs impede the narrative. Secondly, there is an unabashed lack of subtlety. Yet it all works somehow. The drama actually moves you to tears in some scenes. As far as acting goes, this is a whole new Salman and he plays the eponymous role with both sincerity and aplomb. Nawazuddin Siddiqui, playing a Pakistani television reporter, comes late into the movie but is worth the wait. It’s a crackling performance with some terrific one-liners. Kareena Kapoor has the most underwritten part, largely decorative, but she does justice to it. So do watch Salman in a role somewhat similar to Aamir’s in PK. Only, he’s no alien. If you can take your eyes off Harshaali, that is!